People have tons of underlying issues in life, but one of the most pressing problems are the people’s need to feed themselves three times a day, seven days a week, for the rest of their life. If you are an American that loves to cook, the stakes of preparing the food are likely to be higher. Statistically speaking, you will probably get married and have a kid or two. Although you will probably need to get a full-time job to support your family, you will also be burdened with most of the domestic labor where food preparation and acquisition is a prevalent component. Lately, every cooking person’s trendiest and best ally in this situation is the kitchen-dwelling gadget called the Instant Pot. The IP (or the Instant Pot) has a massive following. Amazon sold at least 300,000 pots during a Prime Day sale in 2018 alone. It has been one of the most popular cooking gadgets today based solely on one simple promise, easy and fast cooking without all the hassle. If the users put some ingredients in the pot, press some of the options and pay attention to the details of the recipe, they can make a hot and delicious meal with fresh ingredients and big enough to feed their family. Not only that, they can do it in less time compared to the time traditional cooking methods will take. 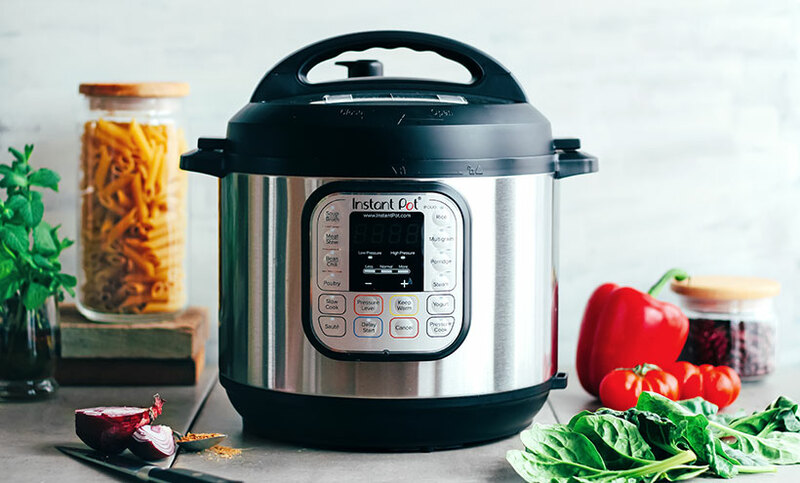 By inspiring gadget automation, the IP or Instant Pot will join kitchen gadgets like the microwave oven and the Crock-Pot in turning traditional cooking methods into a more modern kitchen work. But like other gadgets that precede it, the IP can only do so much, even if its functionalities include making almost everything, from bone broth to a more complicated and usually oven-made cheesecake. While Instant Pots might be considered as the most sophisticated answer to the American problem of preparing their own food, it cannot address the pressing issue of where that skill and time went in the first place, and how much more will be lost. 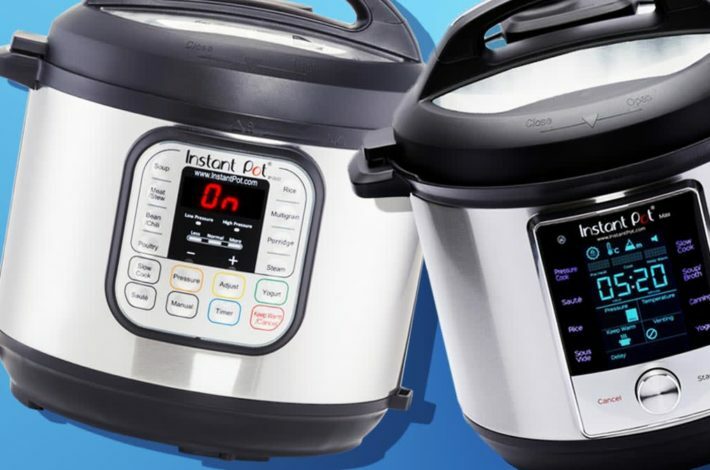 The IP or Instant Pot is the right kitchen gadget at the right time, and by all signs, most of the people who own the pot seem to adore the device. Devotees online often called it “IP” and most of them have no issues about the product. Most of them are all praises on social media platforms, especially on Facebook, a fertile ground to spread its abilities by word-of-mouth. Don’t know how to use Instant Pot? Visit this site for tips and tricks about this miracle kitchen device. Despite that, Instant Pot received mixed reactions. No product in this world is universally loved on social media. But a lot of people reported that they are using their Instant Pot multiple times per week, a lot of them are doing it to feed their family. Even food writers who have doubts about the gadget can see the reasons why a lot of people love it. The act of automation seems like IP’s most important reason why people are drawn to it. You do not have to monitor the food you are cooking or stir anything while using it. That’s why, although depressurizing and pressurizing it means the pot recipes do not cut that much time compared to their traditional counterparts, they change how cooking time is spent. According to most kitchen gadget experts, that is where the Instant Pot has an advantage over its counterpart, the stove-top pressure cooker. With traditional pressure cookers, you need to stand in the kitchen while cooking, and you need to know how to use it as well as monitor its behavior. With IP, you just need to set the options and relax while it is cooking. Because of Instant Pots, it seems to be tailor-made to address some cooking problems. Not only having tight working schedules, but younger people also doesn’t trust packaged foods. Not just that, they don’t like using traditional time-saving cooking gadgets, even the ever-popular microwave oven. Want to know the common cooking mistakes? Visit https://www.today.com/food/25-most-common-cooking-mistakes-2D80555789. But even IPs are a good compromise between tight schedules and wanting to cook tasty, delicious food made of fresh ingredients; it is still a compromise. It still does not address the problem that the working life of most Americans has eaten most of their waking hours. It takes a lot of time and energy away from their most basic task of taking care of their family. Most people in America would rather spend most of their time working full-time to earn more money instead of taking care of their spouses and children. They let kitchen gadgets do it for them. Seafoods are known to be highly nutritive. Whether you are buying for a toddler, for the old or any other age, there are nutrients that can only be found in seafoods. There are special nutrients like Omega 3 that are specifically helpful in the growth of the children; they aid in brain development and fighting inflammation. This is a special nutrient that is common in seafood, especially the fish. Consumption of Omega 3 helps in the brain development of the infants, enforces perfect eyesight and helps in fighting inflammation. For instance, a dose of the salmon or black codfish is very rich in this nutrient. Eating this meal would help keep you healthy and you will feel good. The older we get the more cholesterol becomes an issue of concern. Cholesterol is in two forms; low-density lipids and high-density lipids. While the former is highly risky -commonly found in egg yolks, bacon and such, high-density lipids commonly found in olives, nuts and some fish like salmon. These lipids will keep off cardiovascular illnesses. There is a lot of damage that happens with the body tissues, and thus you need a healthy source of protein so that the body becomes strong and in case of injury or damage, the healing process is fast. All types of meat have proteins but most types of meat are loaded with fats and therefore not healthy. Fish and other seafoods are rich in beneficial proteins that would keep the body healthy. Get live lobster delivery wherever you are at an affordable price. Most of the meat that is consumed is laden with hormones and antibiotics that the animals have been fed with. This can cause allergy and research has shown that they are a rich source of resistant bacteria. Seafood is very rich in safe proteins and therefore the best source. Seafoods are a rich source of good proteins and therefore should be part of your meal. Get a reputable supplier who would ensure that you get the best quality. Consumers today want to try a variety of fish at restaurants. Many restaurants are serving new types of fish to add variety and excitement to the menu. Some examples are fish tacos, salmon BLT, grilled shrimp brochette, stews, and monk fish. Customers like to try new types of food on the menu. Fish has become a popular item on breakfast menu because of the popularity of Southern dishes and comfort food. Many restaurants have shrimp and grits, crab or lobster Benedict, or seafood omelets. Fish is a versatile item that can be added to egg dishes. It is being served more at casual, upscale restaurants than fast food chains. Many restaurants serve raw fish or sushi as an appetizer, or they hire a sushi chef to make it. Consumers like the combination of uncooked fish, vegetables, and seasonings. Many regular fish restaurants serve sushi on the menu and other options. Many restaurants are offering items on menu for less. Soups, sandwiches, and tacos with fish cost less than main entrees. 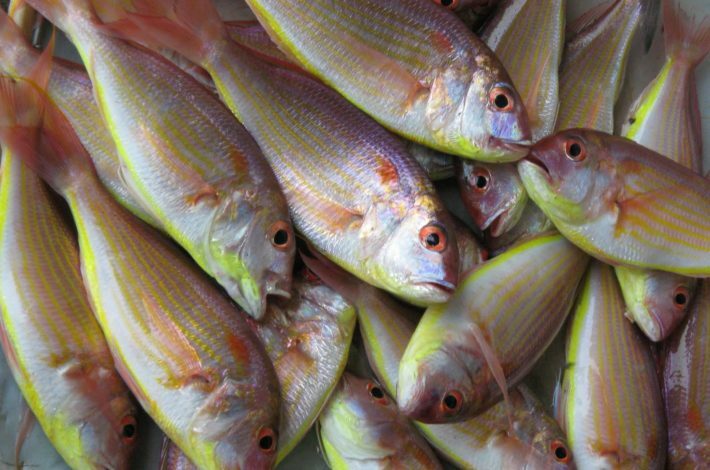 Restaurant chefs are adding more spices and flavors to fish dishes. Cajun or blackened fish, beer battered, and white fish using herbs and butter for flavor appear on menus. Shrimp, a popular item on the menu is served in many ways at restaurants. It can be used in salads, pasta, and on pizza. These restaurants offer a variety of shrimp dishes on the menu to satisfy customers. Restaurants are serving lesser known fish like rockfish and dogfish. Fish restaurants still serve the traditional fried fish entrees. Fish and chip, fried shrimp, or clams are still one of the most popular items on the menu. Breaded and fried fish or shellfish still brings in sales. Serving breaded items with different dipping sauces is very trendy too. They use flavored tartar sauces and special blends. Fish restaurants can use marketing techniques to increase sales. Provide quality photos of fish recipes on the website and social media websites. Good photos make customers want to go the restaurant and try the dish. 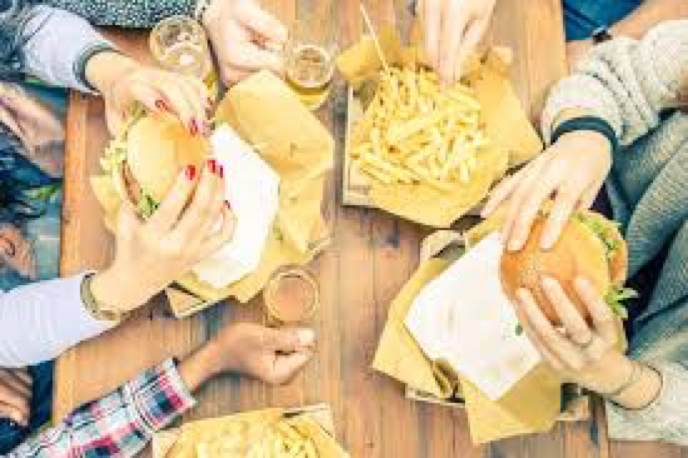 Partnering with online food apps and using loyalty programs offer discounts for consumers and rewards for frequenting the restaurant often. Geographical targeted advertising helps local customer find the restaurant more quickly. When customer look for a fish restaurant in San Francisco or New York these targeted ads put their restaurants ahead of the competition. These ads are geared to specific areas and times to help attract more customers. Offering a seasonal menu that features a popular item found in an area like crab generates sales. Serve crab salad, soup, cocktails, Asian roasted crab, roasted chili garlic crab, crab burgers and crab served with steak or shellfish. Capitalize on the fresh seasonal fish available in the region. Local customers love to eat traditional local recipes. Customers like recipes for fish or shellfish with a global or international flavor. Recipes like Teriyaki Salmon, coconut shrimp, seared tuna salad, salmon or tuna bowls, fish tacos and burritos upgrade the menu. New ways to serve fish, always keeps customers interested in coming back again and again. The design of a fish restaurants should be decorative with a unique nautical theme. The design and good food make a restaurant successful. Who loves good food and appreciates wine knows very well that to enjoy this drink at best it is always necessary to serve it to its guests at the ideal temperature, usually always much colder than the environment. In this way the taste of the different wines proposed is enhanced and it is possible to create combinations of taste with the different dishes present at the table or perhaps with the aperitif chosen to whet your appetite before dinner. Understanding, however, what is the best temperature to serve any type of wine may not be easy. We try to find out in detail the ideal temperatures to serve the most popular types of wine. The dry and sweet sparkling wines should be served cold, at a temperature of about 4-6 ° C. Simple, dry and young white wines, on the other hand, can be served a little warmer, usually at a temperature of around 6-8 ° C. The aromatic dry white wines, sweet wines, white liqueur wines and rosé wines should instead be served at about 8-10 ° C, while the mature white wines are very structured at least 11-12 ° C.
Let’s now see the red wines that are those types to serve at higher temperatures. The fruity red wines and the red liqueur wines should be served for an ideal consumption at a temperature of 12-14 ° C while those of medium structure at about 16 ° C. Finally, the very structured and full bodied red wines can also be served at 18 ° C.
Those who love wine and want to have more than one type of it in their home, however, understand that the refrigerator will certainly not be enough to preserve them at best, precisely because of the different needs of each one. The advice then is therefore to get equipped with refrigerated wine cabinets. In this way it is possible to keep each wine at the right temperature without fearing that when it is served it can lose its true flavor. For those who love design and want to buy useful products but also beautiful to see, a very interesting proposal comes from the thermoelectric wine cooler refrigerator in the form of a painting. 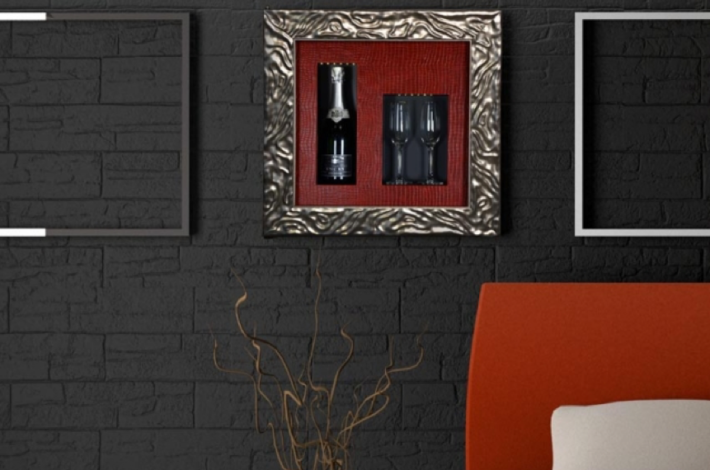 Thanks to this incredible design idea it will be possible to preserve the best of their wines in a shallow cellar set in the wall, perhaps above the sofa and in the foreground, just as we could do with a prestigious painting. Thanks to this innovative framework with a thermoelectric temperature regulation system that consumes very little electricity, the wine will become not only the best accompaniment to your evening but also an extremely versatile piece of furniture. Finding Asian snacks in bulk is not always easy, especially if you live in an area without a local Asian market nearby. Shopping online and ordering an Asian nut in bulk is one of the fastest and simplest ways to enjoy your favorite Japanese, Chinese, and Vietnamese snacks. One of the biggest advantages of ordering Asian snacks online is the variety that is available regardless of your location. Whether you are seeking Japanese peanuts , sesame chips, or even mochi rice cakes, enjoy a wide range of options to choose from to suit any craving you have. If you are unsure of which type of peanuts, peas, chips, or rice cakes to purchase, choose a variety of snack packs or bags of different selections. Snack mixes and rice cracker bags include everything from Japanese peanuts to wasabi peas, rice cakes, and traditional Asian chips for the ultimate flavor experience. Purchasing your favorite Asian snacks online allows you to do so in bulk for a greatly reduced price. By purchasing in bulk, enjoy more of your favorite Japanese peanuts, rice cakes, and Asian chips without paying a premium price for a small amount at a local specialty market. Whether you are searching for samples of the nuts you enjoy most or if you prefer a 4 or even a 10-pound bag, ordering online in bulk is the way to go for maximum satisfaction. Save drastically when choosing to purchase large amounts of Asian snacks at once. Take time to read customer reviews and testimonials regarding the peanuts, cakes, and chips you are thinking of purchasing. 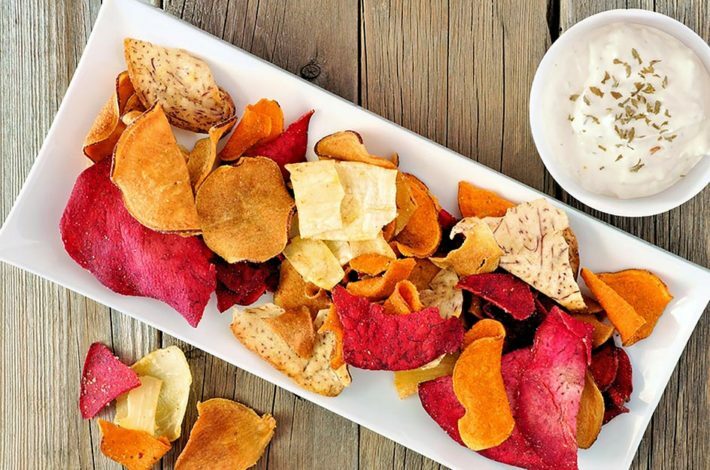 Learn more about the ingredients used while also comparing the nutritional value of each snack you are interested in before checking out. Feel comfortable with and confident in your decision when making your purchase while shopping online. Ordering your favorite Asian snacks in bulk online allows you to enjoy a range of Japanese peanuts from traditional and sesame to Wasabi peanuts for those who prefer spice and zest. Expand your view of Asian snacks by trying new items and enjoying classics while ordering online from the comfort of your home. There are certain foods you must indulge in from time to time. However, what do you do when you’ve already had your cheat meal for the week, but still want junk food? Well, one option involves trying the healthy version. When you do this, you’ll be able to enjoy these recipes whenever you want to. What makes it even better is that you can eat the meals without any guilt. Consider these three recipes. Popcorn kernels are pretty inexpensive and they’re available in all the grocery stores. Coat the bottom of a pot with vegetable oil. Once it’s coated, immediately add the kernels and cover the pot. Set the heat to medium-high. As the kernels begin to pop, shake the pot vigorously over the heat. This allows the kernels to get coated and remain active. If they’re sitting still in the heat, this increases the chances of burnt popcorn. Once all of the kernels are popped, add melted vegan butter and seasonings to a separate bowl. You can choose to add a little bit of salt and call it a day. You can also add chicken seasoning , garlic blends and nutritional yeast flakes. Fries are delicious yet really fattening when they’re steeped in a vat of hot oil. Make a healthier version with sweet potatoes. Cut the sweet potatoes into smaller fries or wedges. Coat the sweet potatoes with a little bit of olive oil or coconut oil. Add cajun seasonings, sea salt and paprika for a delightful taste. Bake the fries in the oven until they’re crispy. Once they’re done, enjoy them with a side of ketchup or another favorite condiment. Ice cream is filled with artificial sugars and sweeteners. Instead of indulging in a sweet treat with nutrients, try nice cream instead. Nice cream is made from frozen bananas and has the same consistency as ice cream. Add chopped frozen bananas to a food processor. As the bananas are churning, add some vanilla extract or fresh vanilla bean pods. Add a dash of cinnamon for flavor. Once you have the consistency you’re looking for, you can place the nice cream in a waffle bowl or sugar cone. Add toppings like other fresh fruit. Strawberries, blackberries and mangos will go well on top of a nice cream bowl. A good salad is hard to find. Many people want a salad that contains foods besides just lettuce. They still want the salads to be low in fat and calories while being filling. The best salad places near me, make a great salad. They are filling, and I still feel healthy every time I sit down and have this salad. These are some of the great salads that are served at salad restaurants. They take the traditional salad and add some new flavors to make eating a salad fun and exciting. The best salads that I have need a crunchy aspect to them. This gives the salad some texture. I like croutons, but they often add unwanted calories to a healthy meal. Instead I add some crunch to my salad with nuts. I like walnuts and sliced almonds in my salad. Every now and again I will get a salad with pecans on top. They add some crunch to it and a little sweetness as well. If a restaurant can make a good Caesar Salad, then it is a good place to eat. There are some establishments that use bottled Caesar dressing and it does not taste the same. A fresh Caesar dressing is made with plenty of garlic and anchovies. The dressing is creamy and has a very fresh taste. A good salad has a slice or two of avocado. This avocado can add some creaminess to the salad and some people even use it in the place of salad dressing. As a bonus avocado are high in omega 3 fatty acids which are good for the brain. This is a nice take on a regular salad. Okra is cut into thin strips and then it fried until it gets crispy. The okra is put on top of the salad to add some crunch to it. This may seem like an odd combination by crab meat and watermelon taste great together. 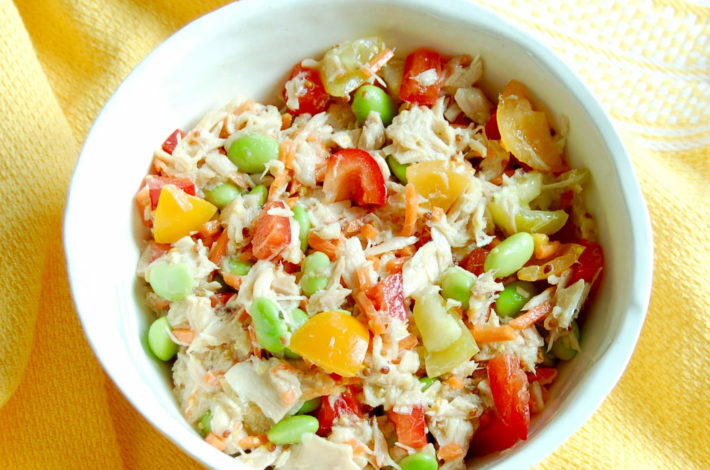 To make this salad, add some curry spices to crab meat. Top with sweet watermelon. For greens cilantro and mint can be used. This is a bright and fresh salad. This salad gets its inspiration from Moroccan spices. The carrots are covered in spice and they are parboiled. They are then tossed with a citrus dressing and roasted. The carrots will come out tasting sweet. Beets can also be prepared in this manner as roasting them will also bring out the natural sweetness. This is a very popular Italian salad and there are several ways to prepare it. One of the most popular and tasty preparations is to use iceberg lettuce as a base. The lettuce is then topped with a vinaigrette. Salad and small fresh mozzarella balls are added to the salad. This will add a great deal of flavor and a person will get some cheese with each bite. Small olives and other Italian meats can also be used. Although the primary role of food packaging is to protect and ensure the safety of the food, the packaging design plays a significant role in attracting customers. Food should sell itself through the packaging used. Thus, it is essential to have a packaging technique which sells the company’s brand while also communicating about the product you are promoting clearly. Since your package remains the ambassador of your brand, here are valuable tips to consider when designing food packaging. Whether it is reading an advert in a magazine, watching TV, or shopping at a grocery store, your packaging remains the first attraction point to consumers. When designing a food package, you need to explicitly state and understand your food brand. Ask yourself: what and how is my food product different from the rest of the market? Who is my target market? What is my philosophy? By answering these questions, you will be able to design a packaging product that guides and promotes your brand. 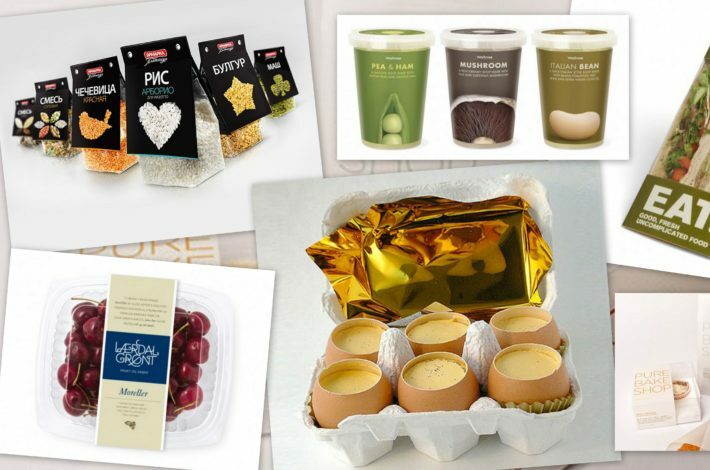 A designer of food packaging always considers both the functionality of the food product and the shelf appeal. Regarding the functionality, it is vital that the product reaches the destination while in the same condition it was packed. Otherwise, retailers or distributors will deduct your money as damages costs. 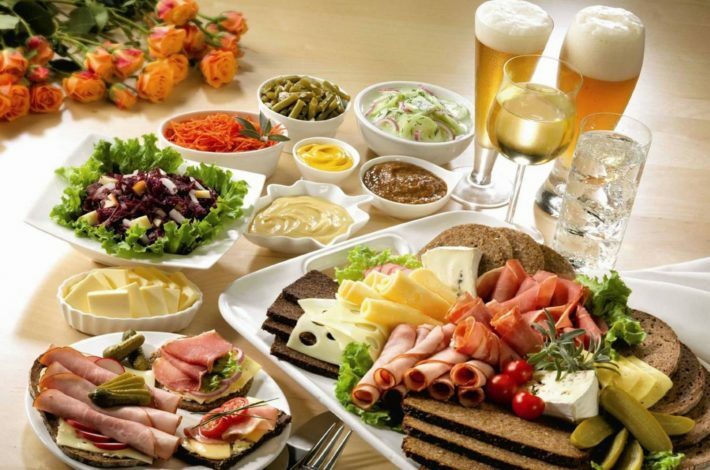 The key factors you must consider when designing the form and function of the food product should include the packaging materials to be used, construction, secondary packaging, ease of distribution, information of the product, and shelf life. Your package is considered an essential element when launching a food product. However, it is important to consider flexible alternatives that are cost-effective, particularly regarding the materials used. The commonly used wilpack packaging materials include glass, aluminum, plastic, and paperboard. With the consumers being more aware of green packaging and eco-friendly food services, it would be wise to consider innovative packaging materials which would help in ensuring sustainability. This will not only continue to sell your brand but will also attract many customers. after developing a product and you set the specifications; you will be embedding 80% of the costs. You will, therefore, be able to have saving opportunities in the development and design states. Interview different designers to get the best price; sometimes startups are hungry enough to get your packaging job done at the most affordable cost. It is wise to make tradeoffs, for instance between production and labor costs. However, it is critical to ensure that these tradeoffs do not affect the quality of the food product. Tradeoffs are okay, but remember that you are in the food business. Many food companies may shift their production from hand-wrapping to utilizing machine wrapping. This would require one to invest in the capital cost of the wrapping machine. However, over time the labor costs will depreciate significantly. When it comes to pizza ovens the best kind to purchase is the wood burning oven. They give the pizza an extra hint of crisp and flavor. What many do not realize however, is that the best way to get the flavor you are looking for is by purchasing the right wood for the task. Let’s take a look at the different firewood you can purchase to make the best possible pizza for all of your guest. To start, it is important to mention that you should never use processed wood in your pizza oven. Ingesting the chemicals used to treat the wood is bad for your health and even if it wasn’t, your pizza would not taste that good anyway. You are looking for hardwood as the firewood for pizza ovens. Not only does firewood help bring you make the best pizza it is also the healthiest choice available for cooking pizza. A number one choice is oak. Easy to find and great to use. Oak is priced at a reasonable level and burns pretty hot, making your pizza crispy and tasty. Apple wood is such an underestimated wood. Perfect for any pizza but exceptional for the sweet flavor of Hawaiian pizzas with pineapples. Apple also burns exceptionally hot. However, the downfall is the price if a bit steep. A fantastic wood for almost anything. This wood makes great furniture and makes great pizza. You can find cherry wood online or locally. Apple wood makes a great wood to cook with as it has so much in common with apple wood. enjoy the flavor and scent of this wood as you engulf your pizza in it. Maple is everywhere. You can find maple from your own property or a friend’s property. This wood is widely used and available. Maple is one of the most frequently used wood for fire and ovens across the country. At a great price you can enjoy great pizza with Maple wood. Another common contender, ash is found in most places surrounding all of us. Ash is a softer wood than maple. It is a lot less expensive and burns great. Ash makes a great, reduce price pizza burning wood. No matter what wood you decide to use, there are always options to make the best pizza possible. 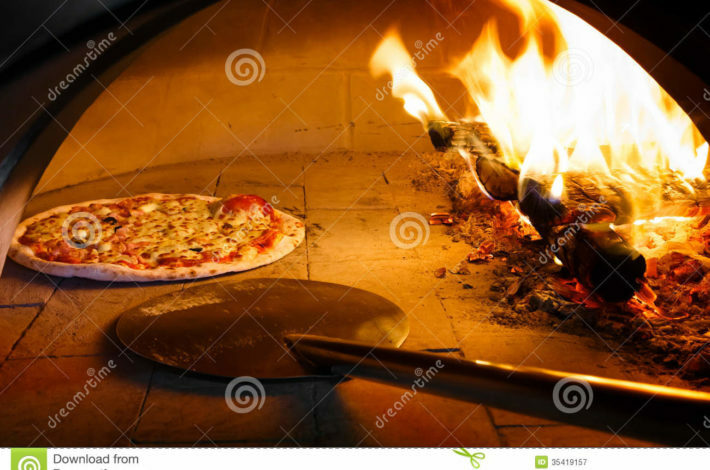 Take a look at this link to help you pair pizza with the correct firewood. Consider the type of pizza you are cooking and benefit from the different flavors within the wood. Utilizing what the natural wood has to offer to bring out the flavor of each pizza you create can ensure that you are making the best tasting pizza possible. Pizza ovens allow for a healthiest and tasteful approach to eating pizza. By utilizing the pizza oven, you not only benefit your taste buds but also get the benefit of creating a healthy balanced diet. Once you’ve finished polishing the shelves of your beautifully appointed new home bar, the next task you’ll be eager to complete is to fill them with a stylish selection of spirits that are sure to impress your first batch of guests. 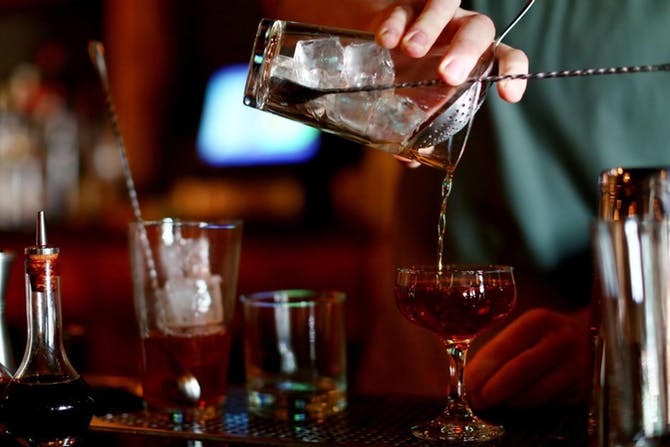 Building up an extensive collection that includes less familiar liqueurs such as green chartreuse, can take time so concentrate on a basic core of versatile favourites that van be enjoyed on their own or as part of a cocktail.